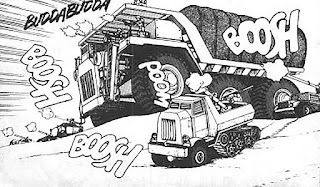 I became interested in mining trucks because of a vehicle that was part of the Barjack Army in the manga Battle Angel Alita. The truck in the manga is a 3-axle vehicle that looked like it was based on the typical Caterpillar or Komatsu mining truck. 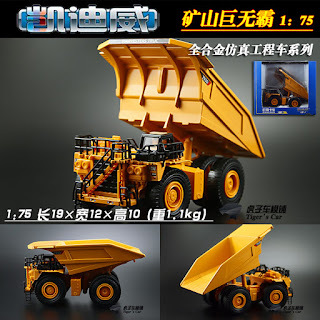 The closest thing I could find in both scale and appearance was a 1/75 scale model of the 240 ton payload Caterpillar 793D mining truck produced by KDW (Kaidiwei; 凯迪威), aka Guangdong Kaidiwei Culture Co.,Ltd (广东凯迪威文化股份有限公司). The model comes in two different colors, and is sometimes advertised as being 1/72 scale. 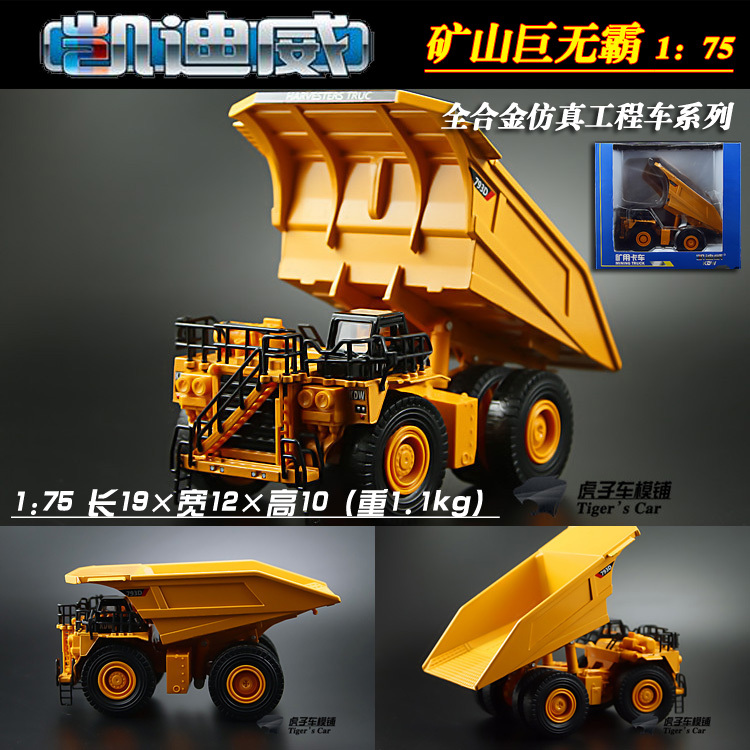 The truck is very heavy, with a diecast metal hopper and undercarriage. The tires and other various pieces are made of plastic and vinyl. 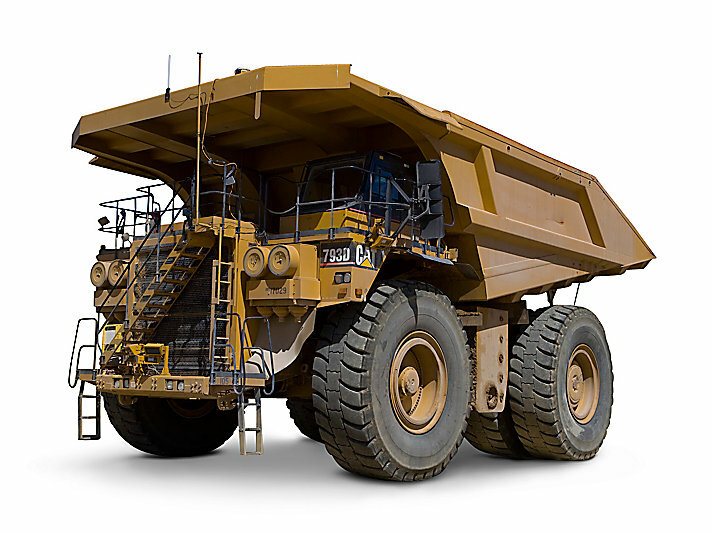 The articulated front axle steering system allows the front wheels to pivot. 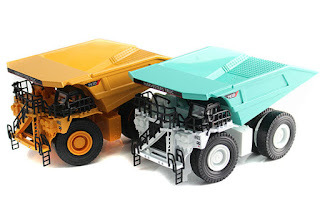 The telescopic cylinders that allow the truck bed to be raised are fully capable of supporting the weight of the hopper without it sinking back down on its own. Measuring the wheelbase seems to indicate that it is somewhere between 1/75 scale and 1/72 scale (80mm measured; 78.7mm if 1/75, 82mm if 1/72).